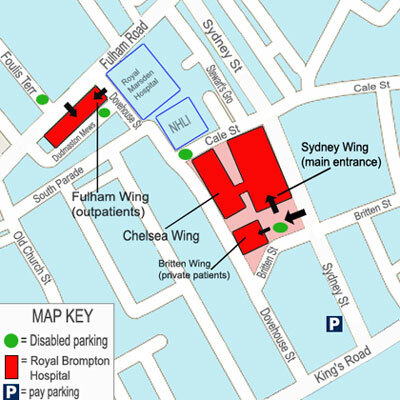 Royal Brompton Hospital is situated in Chelsea, right in the heart of London. The area is well served by the London Underground and bus routes and is close to the amenities of London. For public transport options and driving directions, please click here. Please note that the private outpatients is located in the Britten Wing.